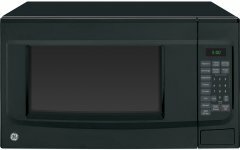 Over-the-range or countertop are not the only questions that come to mind when choosing a microwave oven. How far do the programs go? Can it also grill or convection cook? Alphachooser covers it all. Currently, the best microwave oven 2019 is the LG LMC0975ST, followed by the Panasonic NE-1025. Here is the full top 10 list, then sub-categories and an extensive list of microwave oven brands and models. 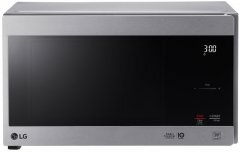 Because of its overall ranking of 93%, we conclude that the LG LMC0975ST is currently Alphachooser's best microwave oven 2019. Alphachooser also concludes that our sample of 1027 reviews from our sources gives us a high confidence level (more on confidence levels) that prompts us to name it a "no-brainer best choice." Because of 4.5 stars derived from 50 reviews, here is what we consider second best microwave oven. 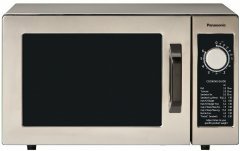 * This choice (and the following members of this best microwave oven models list), is based on a full aggregation of hundreds of microwave oven reviews from around the web. Our picture shows the Sharp SMD2480CS. Our picture shows the GE JES1097SMSS. Our illustration shows the Samsung MS14K6000AS. Our picture shows the Panasonic NN-ST676S. Our illustration shows the Frigidaire FPMO209RF. Our picture shows the Whirlpool WMH32519CS. Our picture shows the Danby DMW12A4BDB. Our illustration shows the LG LMC0975ST. Our picture shows the Westinghouse WCM11100B. Our illustration shows the KitchenAid KCMC1575BSS. Our illustration shows the RCA RMW1636SS. Our illustration shows the Magic Chef MCM1611W. All Magic Chef microwave ovens. Our illustration shows the Keyton K-0.7MICROWAVEWHT. Our illustration shows the Nostalgia RMO7AQ. All Nostalgia Electrics microwave ovens. Our illustration shows the Toshiba EC042A5C-BS. Our illustration shows the Cuisinart CMW-200. Our picture shows the Amana RMS10DS. Our picture shows the Bosch HMD8451UC. Our illustration shows the Maytag MMV1174DS. Our picture shows the Emerson ER105001. Our picture shows the Kenmore 70719.